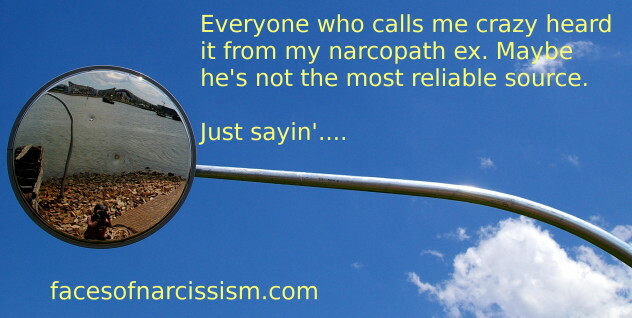 Everyone who calls me crazy heard it from my narcopath ex. Maybe he’s not the most reliable source. Crazy is a spectrum and all women are 4/10 crazy. My X wrote a 5-page “Merry Christmas” letter to my two twenty-something kids and said that I am “the most wicked person he has ever met”. But he didn’t stop there. He called these very successful and good kids “pathetic” and “bitter” because they refuse to have a relationship with him. The letter was full of lies. He blamed all of us for the things that he has done. Shocker! It was a total projection letter and they saw that clearly. Move on, dude…we have.